LibreOffice, the free and open source suite of office apps that competes with Microsoft’s Office suite, has finally arrived on the Windows 10 official storefront. But before you go ahead and download it, do keep in mind that the version listed on the Microsoft Store for Windows 10 PCs and tablets is not official, instead, it has been published by an unknown third-party developer. Interestingly, the LibreOffice listing on the Microsoft Store asks users to pay an amount of $2.99 to support the team behind LibreOffice. However, even if you don’t buy it, the free version will come with all the features that come with the official LibreOffice suite. 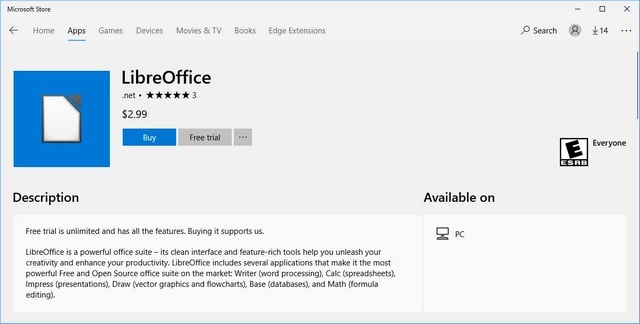 The LibreOffice suite has been published on the Microsoft Store by a developer account named ‘.net’, and the description box on the listing page states that the ‘Free trial is unlimited and has all the features. Buying it supports us’. The description suggests that the money will go to The Document Foundation, the creator of the LibreOffice suite, but instead, it goes to the developer who published the suite on the Microsoft Store. 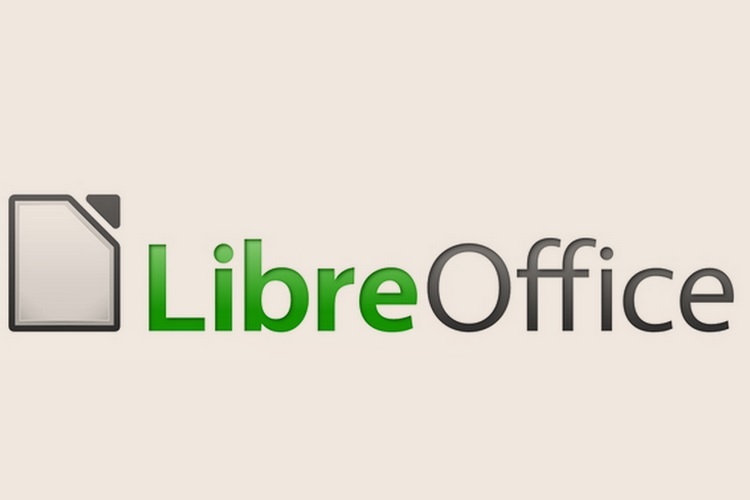 The Document Foundation’s Italo Vignoli has confirmed that the LibreOffice suite currently listed on the Microsoft Store is not official and that the money paid by users does not go to the company. “The Document Foundation has been made aware of an unofficial version of LibreOffice on the Windows Store. We are investigating further, but we want to be clear: this is not an official version created by The Document Foundation, so the app’s page is misleading”, Vignoli was quoted as saying by Bleeping Computer. He suggested that one can download the LibreOffice suite from the official LibreOffice website. We advise that if you see the LibreOffice listing on the Microsoft Store in your country, avoid downloading it or paying for it, and do so only from the official website.